. . . . .On the walls of the hypostyle hall, carved in low relief and painted, we find the stories of Ramesses greatness. 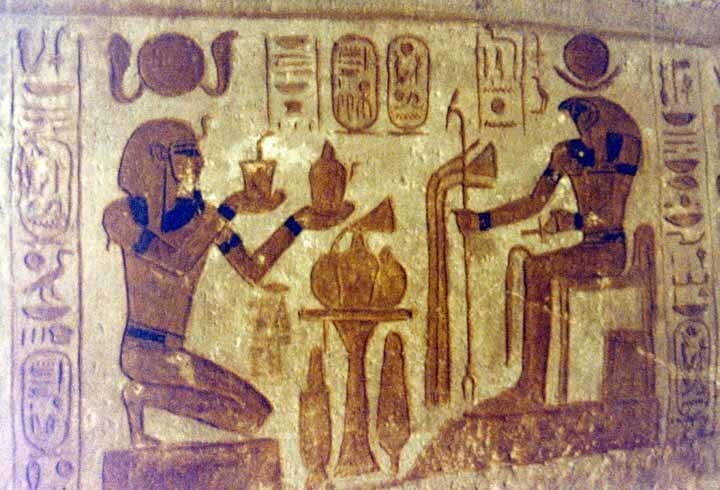 Here he is shown making an offering to a god. 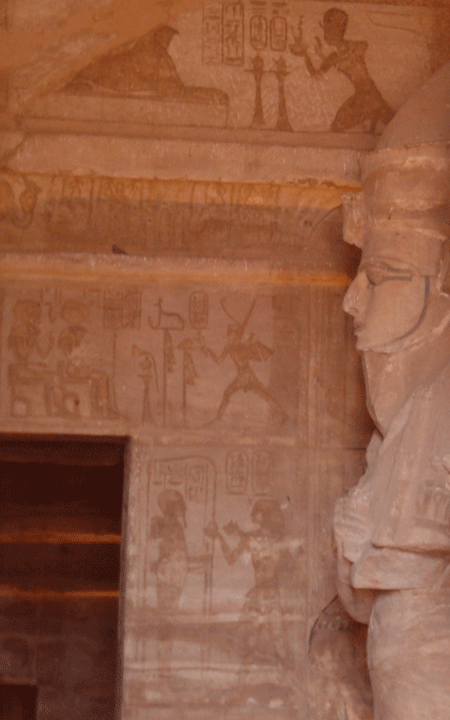 I have wondered why the temples of Abu Simbel are painted in such subtle colors? This is in sharp contrast to other Egyptian monuments where color is brightly and boldly applied.